Allied is more than just temporary staffing! We are also a leader in the staffing of Office & Professional roles for companies across a diverse set of industries within the Lehigh Valley. And working with a professional recruiter can transform your job search! This entry was posted in Allied Personnel Services, Career Advice, Job Search, Jobs, Lehigh Valley, Staffing Firm on January 18, 2019 by aps. 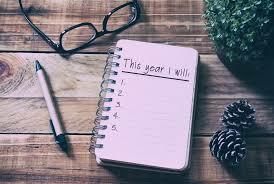 New Year’s resolutions are usually based on forming new habits or changing current habits. This means changing human behavior and that is, by far, one of the hardest things to accomplish. Why? There are many reasons, but here we will focus on two; negative motivation and enduring the entire process of change. Negative Motivation – Many people’s motivation comes from negative thinking such as fear or guilt. You have much better odds of long-lasting success when the motive is positive. For example, your motivation to start exercising comes from a feeling of guilt or fear that not exercising will negatively affect your health and could develop into disease. This thinking may get you started, but the motivation for long-lasting success isn’t there because there’s nothing to feel excited about, especially when the actual effort of coming up with an exercise plan day in and day out starts to wear on you. It is much more likely that you will form lasting change if you attach your negative thinking to positive thinking and a positive goal. For example, “I know I need to exercise so that I don’t become unhealthy, but I also feel great physically and mentally and rid myself from stress when I exercise. Plus I really want to look more like I did 5 years ago.” This positive thinking gives you something to look forward to rather than only something to avoid. Precontemplation. This is the stage where you have no conscious intention of making a change. People in this stage tend to avoid discussing and thinking about the unhealthy behavior or may be unaware of how unhealthy the behavior is. BUT, your interest could be sparked by outside influences, such as a public health campaign or a concern from a doctor, friend, or family member. You can’t move past precontemplation, until you feel that the unhealthy behavior is hindering your life. Contemplation. At this stage, you’re aware that the behavior is a problem, but you’re still not quite ready to commit to action. You are probably fluctuating, weighing and re-weighing the pros and cons. You may be considering how you could overcome some of the obstacles. Preparation. At this stage, you know you must change, believe you can, and are making plans to do so and soon. You’ve taken some preliminary steps — joined a gym or fitness class and bought a new pair of sneakers. At this point, it’s important to anticipate obstacles and create a real action plan with realistic goals. What obstacles may arise? You have no time? You’re too tired? What are the solutions to these obstacles? If you’ve been sedentary a long time a realistic goal may be to start with 15 minutes of walking a day and you can move up from there. Action. At this stage, you’ve made a change (Yay!) You’ve started exercising and you’ve begun to face and overcome the challenges that come with trying to plan exercise regularly. You’ll need to practice the solutions you identified during the preparation stage. Maintenance. Once you’ve practiced the new behavior for six months, you’re in the maintenance stage. Now your focus shifts to integrating the change into your life and preventing relapse into your old ways. This may require other changes, especially avoiding situations or triggers associated with the old habit. One frustrating thing is that the track between stages is rarely straightforward. A lot of people relapse at some point in the process and end up in a previous stage all over again. Sometimes when people are in the maintenance stage they will find themselves back at the contemplation stage. This is common and each time it happens you will need to reevaluate your strategy and tweak it to work better moving forward. 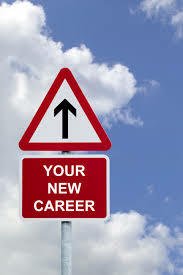 Do your New Year’s resolutions include a career change? Apply with us today for a positive start to your 2019! This entry was posted in Allied Personnel Services, Career Advice, Uncategorized on January 15, 2019 by aps.